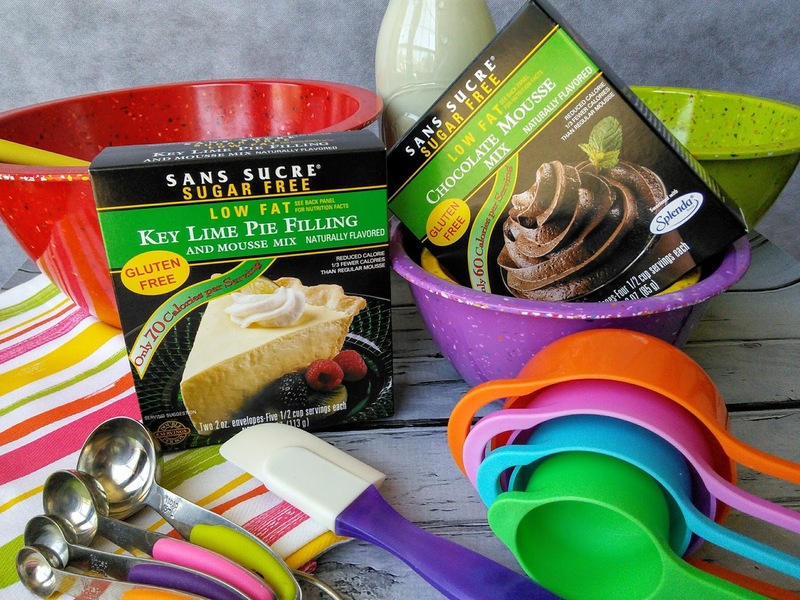 I am always looking for healthy treats for my family so when I find a sugar free option dessert that is made with Stevia, I get excited. My family loves brownies and wanted me to make some for them so I grabbed a wonderful box mix and decided to treat them. I do like the ease of using a box mix sometimes when I don't feel like baking. The brownie mix that I used only needed oil and water. I always have oil in the house but not butter and eggs so I was glad the mix only needed oil! This chocolaty brownie mix was so easy to make. The teen walked into the kitchen as I was making them and saw the box. He made a comment about it being sugar-free. I told him that Stevia is a good tasting sweetener with no after taste and he just needed to taste the batter. The teen was surprised that this healthy sugar-free/gluten free brownie mix actually tasted good. 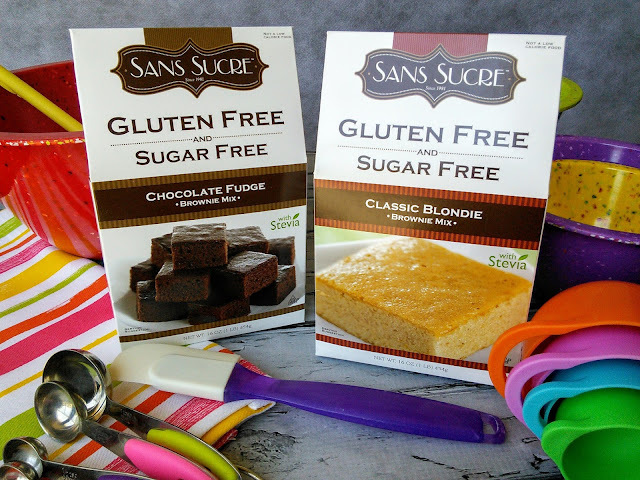 Sponsored post: I was sent samples of baking mixes from Sans Sucre to facilitate this post. My husband was not home when I made the brownies so he did not see the box. All he saw when he got home was a plate of delicious brownies. My husband grabbed one and was delighted that they tasted good. He always questions my baking as he knows I like to bake healthy treats for the boys. My husband ended up eating three more brownies throughout the day. Of course, I never told him that they were sugar-free and gluten free, it was my little secret. All my husband needed to know was that these cake like brownies tasted good. 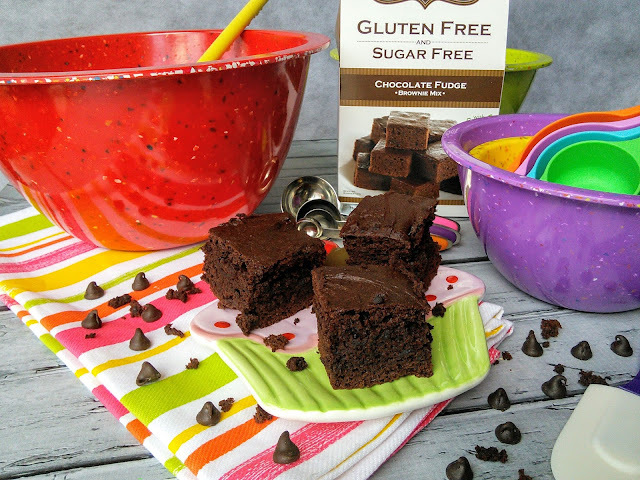 The company that sent me the brownie mix also makes many other sugar-free products, many are also gluten free too. My boys can't wait for me to make their Low-Fat Chocolate Mousse mix. I just need to go to the store to buy some milk. I am so glad that I can treat my family to some treats that are sugar-free. It makes me even happier that they like the taste of them! 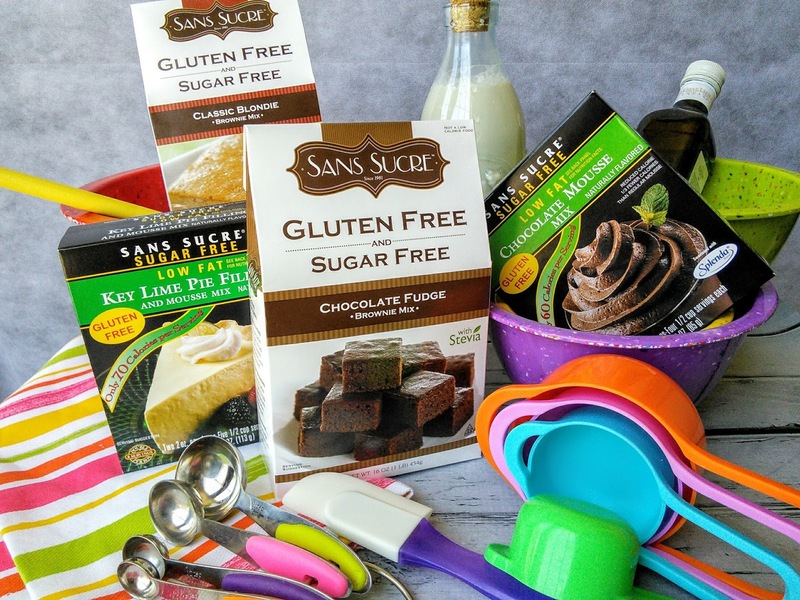 Want to know more about these sugar-free/gluten free dessert mixes? I would love one, please. Sugar free and Gluten free?! These sound like the perfect snack, I would love to try these. Thanks for letting me know about this brand. I hadn't heard of them before. The finished brownies look like a great consistency. I am always looking for gluten free products and this looks great. Can't wait to try this. I am all about a delicious chocolate brownie. What a great option for those who cannot have gluten or too much sugar! I think this is such a good idea to cut down sugar!! I can hardly believe how much sugar is in baked goods! I love sweets but I am trying to limit the amount of sugar that I eat. I need to check out these sugar free treats! I would be ALL over those BLONDIES if I could - I am soooo a vanilla person over a chocolate person! This is the first time to hear this brand. I'm into gluten free diet nowadays this is so perfect. I can still enjoy dessert with out worrying about sugar consumption. I love it when I find a product that fits into a healthy lifestyle. These treats take the guilt out of dessert! These look really yummy!! I can't wait to make a double batch! Oh, my goodness! I'm drooling right now. I would love to try this for sure. Thanks for sharing! These look so rich and delicious! Totally craving a brownie right now. Will be on the lookout for these. I hate the feeling of missing out. 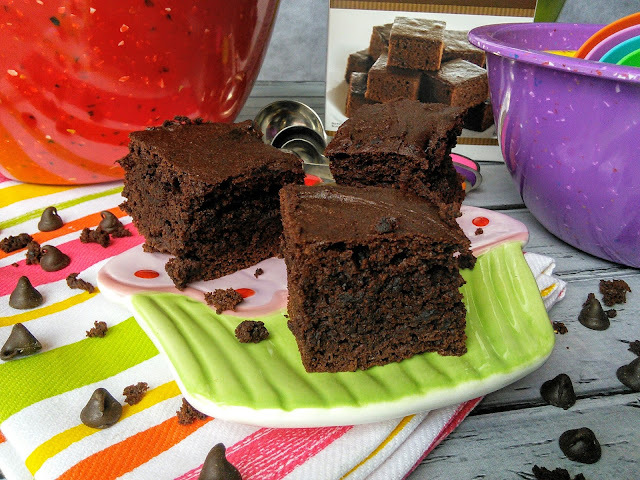 But this brownie recipe makes it easy to enjoy yummy treats without any guilt too. My grandmother is diabetic, and I am going to pick these up for her. Thanks for the suggestion! I love that there are sweet options no matter what your dietary needs may be. That's soo awesome that there's a gluten free alternative to this delicious treat! Now more people can enjoy them. What a great delicious treat for those who need sugar and gluten free. It is nice to know they have options. I want to try that blondie brownie. Looks so good. They look so good! This is perfect for my little one. Thanks for sharing!